Sady Paulson is passionate about making films. And Apple helps her turn that passion into videos that can be viewed by millions. Paulson has cerebral palsy. She uses Apple's accessibility tech like Switch Control to interact with her computers, iPhone and iPad. The 29-year-old was a special guest at Thursday's Apple (AAPL) event when the company unveiled the first new line of MacBook Pro notebooks in four years. 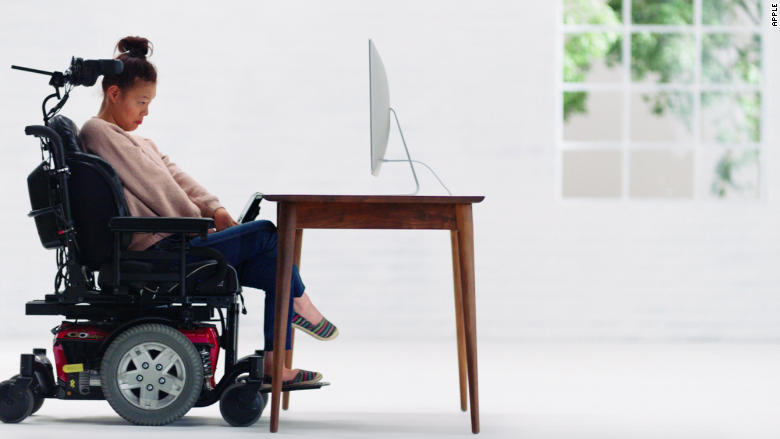 Kicking off the event, Apple CEO Tim Cook announced a redesigned accessibility website and played a video that highlighted features that let people with disabilities use its products. Paulson starred in the video -- but what Cook didn't mention on stage was that she edited the whole thing, too. Paulson, who is non-verbal, has two Switch Control devices attached to the head support of her wheelchair. Large circular buttons execute commands when she pushes them with her head. Switch Control assists people with impaired physical and motor skills, and has been a part of Apple's product line since 2013. Bluetooth-connected straw puffers and joysticks are also used as Switch Control devices. Apple's other accessibility tools include built-in Voice Over for people with impaired vision to hear what's on the screen, fitness algorithms for wheelchair users, and hearing aids made for the iPhone. The new accessibility website aims to amplify Apple's efforts, and encourage developers to spend more time and energy building accessible apps and software. 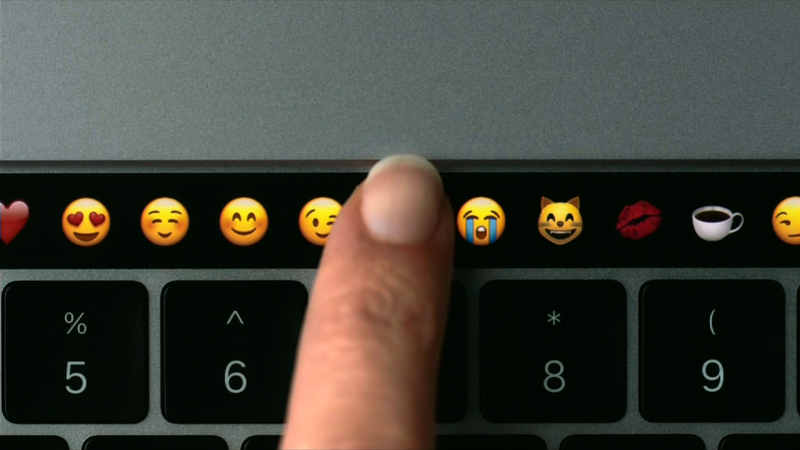 "The goal is to really get people to understand what accessibility is all about and how Apple is pushing assistive technology forward in new ways," Sarah Herrlinger, Apple's senior manager for global accessibility policy and initiatives, told CNNMoney. At Apple's headquarters after Thursday's event, Paulson showed me how she uses Switch Control to type and edit video. She said she began making movies 10 years ago when an instructor at the Anne Carlsen Center for people with disabilities showed her how to use iMovie. I asked whether or not she feels barriers exist between her and other people, and whether people doubt her ability to make films. With nods and clicks, she replied. "People are a little bit unsure of my disability, and then they understand what I can do," Paulson said, via words she typed on screen. In February 2016, Paulson graduated with a degree in Digital Cinematography from Full Sail University, and accepts client work from her home in Fargo, North Dakota. Her favorite films to edit are documentaries, she said.